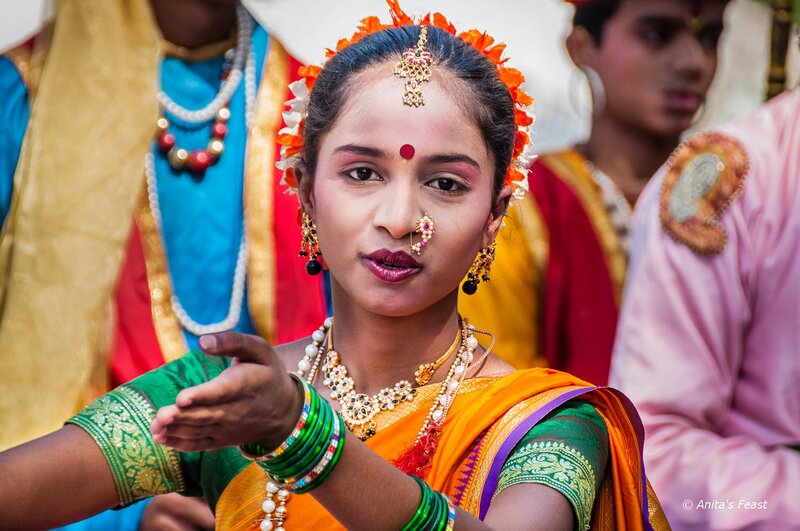 My husband and I have been back from India just a couple of weeks, and we are still talking about our many experiences in Maharashtra, a region of the country that was completely new to us. 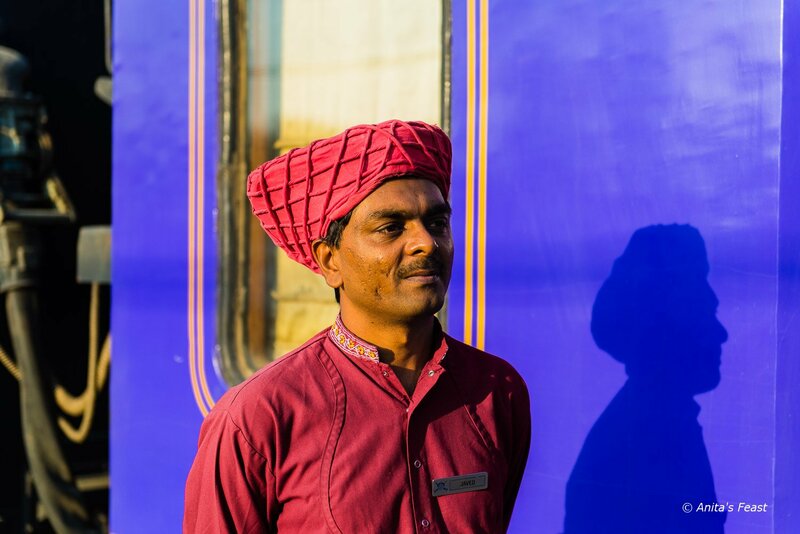 Our train journey on the Deccan Odyssey included an itinerary of organized sightseeing off-train, leavened with extraordinary personal attention. I’ve never been on a cruise, and until recently, was pretty sure I would never sign up for one. Now, after a week aboard one of the top luxury trains in India—I’d liken it to a cruise on rails—I may have to reconsider. 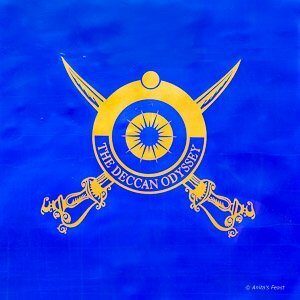 The Deccan Odyssey is a joint venture of the Maharashtra Tourism Development Corporation and Indian Railways. From November to April, the train departs Mumbai’s CST terminal for a ramble through the countryside of Maharashtra state. The Taj Group of hotels manages operations for the Deccan Odyssey, which translates to splendid service, good food and attention to customer care. 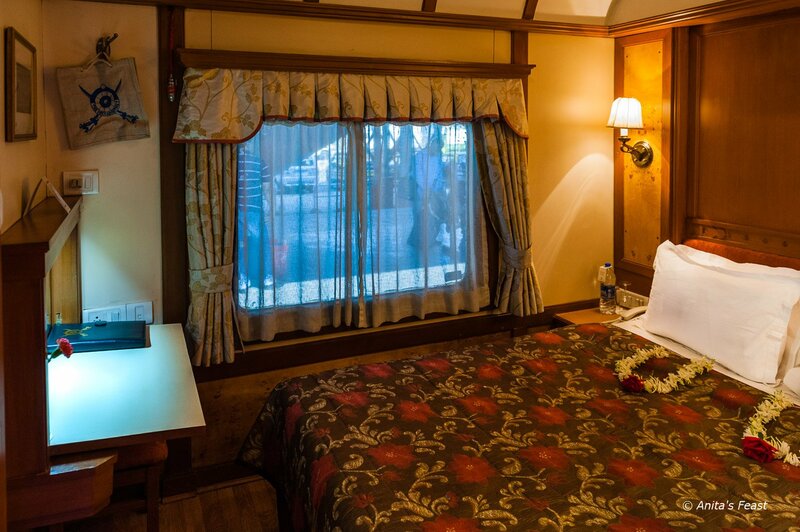 For me, the famed Taj touch elevates a classy, comfortable train to the realm of luxury. Personal attendants met us with chilled towels and a fruit drink when we returned to the train each day hot and sweaty. 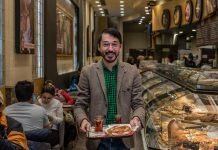 They served us tea and biscuits every morning, and made sure we kept to our schedule for meals and sightseeing. Our guy was unfailingly polite and quick to respond to our many questions. I wanted to bring him home! 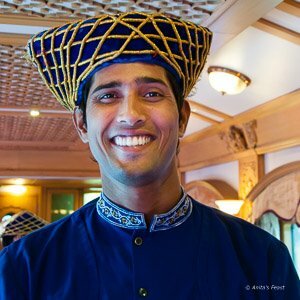 Javed, our personal attendant aboard the Deccan Odyssey, saw to our every need, and some we did not know we had! I expected life on board a train to feel cramped and in-your-face social. Not so. On the Deccan Odyssey, guests sleep in the comfort and privacy of their own suites. 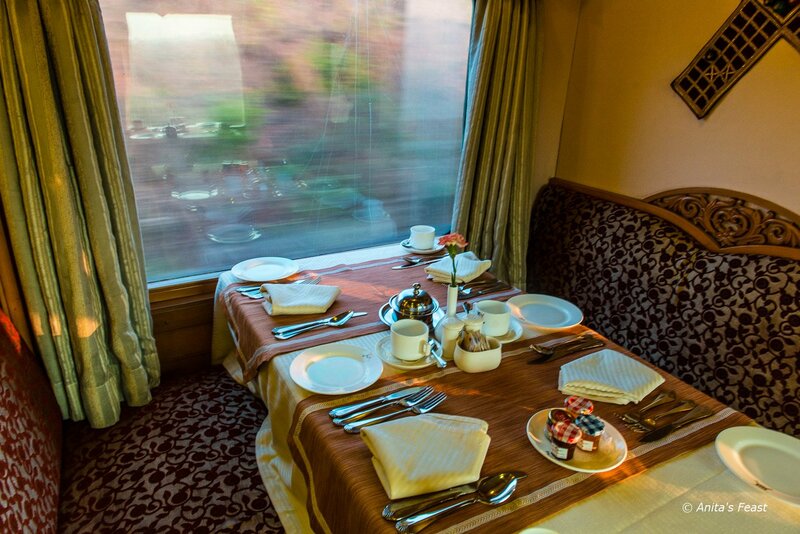 There are just four suites to a train car, and the staff-to-guest ratio is just about one to one. 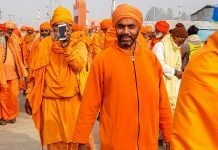 India’s rail system was one of the world’s first long-haul networks, and sleeping on a rocking train sometimes proved challenging to those of us accustomed to the smooth glide of Swiss trains. 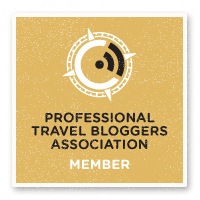 A full-sized bed and morning tea served in our cabins helped make up for this. Cabins are as large as the rooms in many European hotel s and the en-suite toilet and shower facility first-rate. Nightly turn-down service includes an orchid, fresh bottled water and a snippet of poetry on the pillow. Cars for socializing and staying fit were at our disposal. The gym is small, but adequate for early risers, or travelers wanting to fit in a run on the treadmill before dinner. On an extended afternoon on the train, I treated myself to a massage and pedicure. 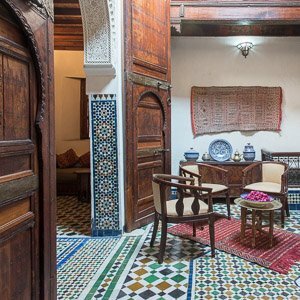 I would have loved to experience more offerings from the menu of spa treatments. 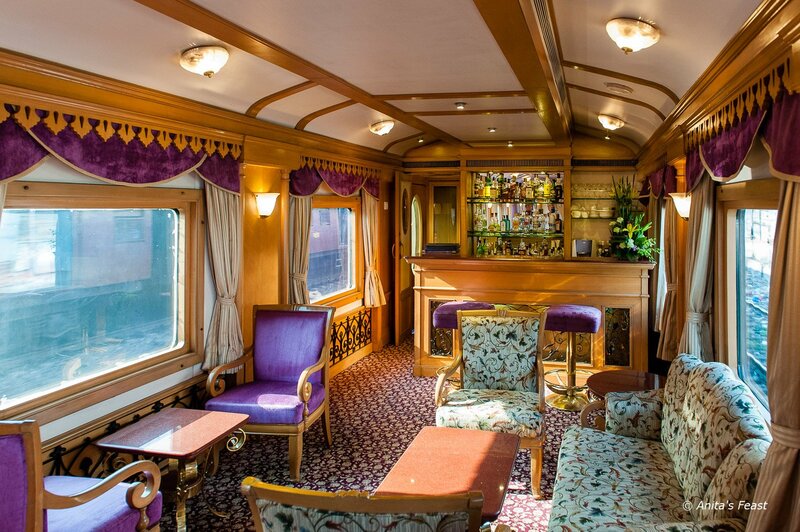 The bar car is also a great venue for meeting other passengers for afternoon tea with snacks. 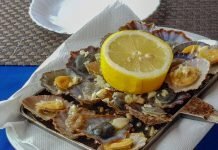 We enjoyed excellent meals on the Deccan Odyssey, and had ample opportunity to sample regional variations in the cuisines of Maharashtra and Goa. Here, as in personal services, the Taj touch was evident. Meals on the train are planned around the freshest possible local ingredients. We started each morning with our choice of Indian or continental breakfast. The route took us south along the Konkan Coast to Goa, then turned north toward Aurangabad, with stops at Kolhapur and Daulatabad. En route back to Mumbai, we visited Nashik, a pilgrimage center with a lively evening market. 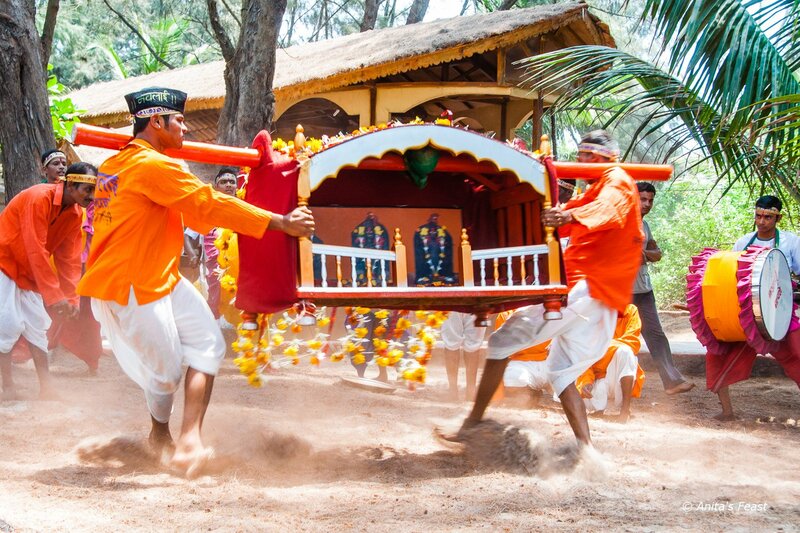 At Tarkali Beach, a group of young men perform a local ritual, kicking up plenty of sand, to the accompaniment of drums—a lively start to cultural introductions at every stop. 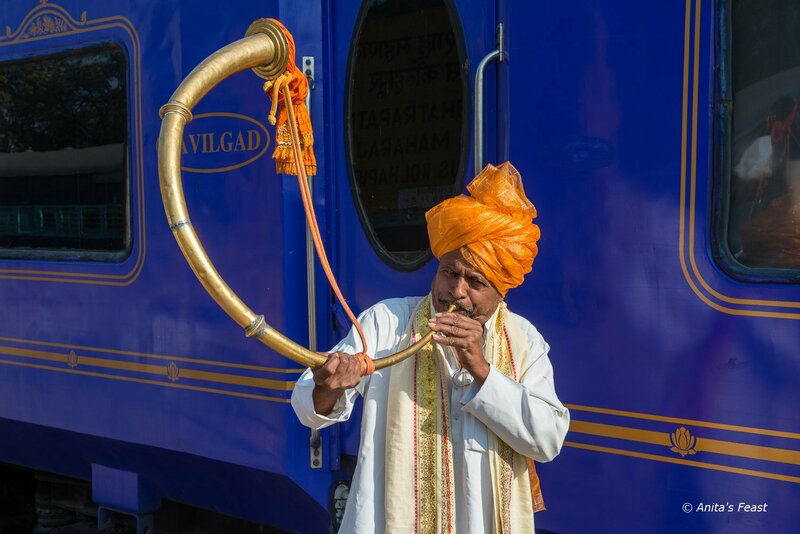 A trumpeter welcomes Deccan Odyssey visitors to Kolhapur. 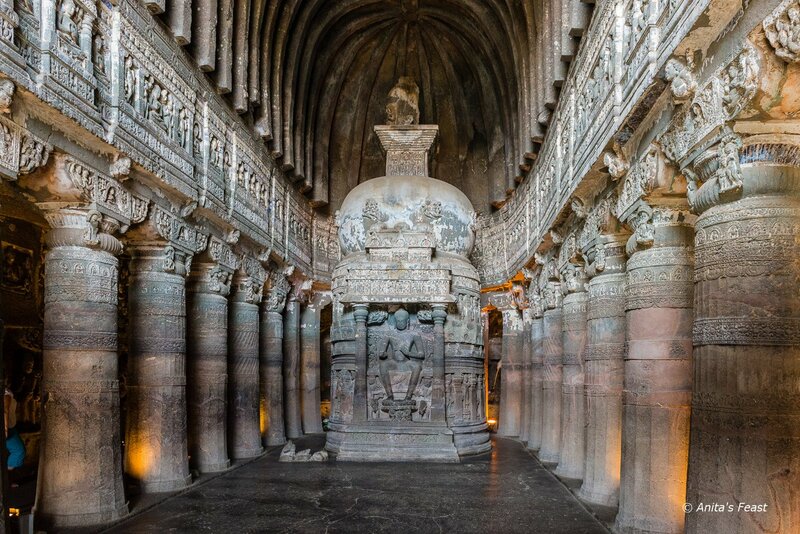 The rock-cut caves of Ajanta are among the finest examples of early Buddhist architecture, paintings and sculpture in India. My husband I were guests of Maharashtra Tourism Development Corporation and India Tourism, but the enjoyment was ours alone! 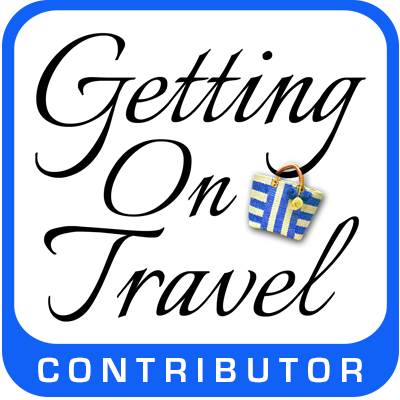 The trip we took, and amenities included, were those of paying travelers on a Deccan Odyssey journey.